Are you concerned about your child’s nursery admissions? Have you been looking for RTE Maharashtra 2019 Application Form? These are some important updates that you should start checking. The information furnished here is regarding RTE Maharashtra 2019 Admission. Under the Government order of the Right to Education of the state Maharashtra, there is 25% quota for the parents to get their kids into a government school. Look for more details in the following sections. The Govt of Maha has regulated the Right to Act under which 25% quota is of pupils from Mumbai and cities from Maharashtra. This act is to make sure that citizens from economically weaker sections are able to put their kids into unaided and minority schools in Maha. After admissions, the admitted students are to be provided free education by the institutions up to class 8th. The panel Now launches the Notification, under this, parents from the economically weaker sections will be able to get their kids admitted to the unaided schools. 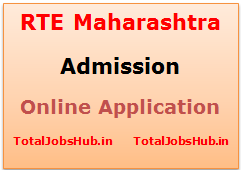 The process of RTE Maharashtra Application Form filling started Now. Children from the following sections can get admission under RTE. Age Limit is going to be mention soon in the official notification. Latest passport sized colored photo of the child. Income Certificate issued by the Revenue Officer higher than the rank of Tehsildar. Recent photo of a child (colored). Register and Login to start applying by using the Registration no and suitable received on your mobile number. Fill in your details along with the kid’s information. Mention the school name and location suitable for your kid. You are allowed to choose any school within the distance range of 1 km to 3 km from your residence. Upload all the necessary documents and recheck your application data. Get a printed copy of your application and take it along with the documents to the helpdesk. The school that is left with a less number of seats follows a lottery system. There is no chargeable fee by any schooling authority whatsoever. The lottery system will be administered in the presence of District Administration Education Officer. A list of shortlisted names issued online on the existing website. Parents are recommended to download this list and take it to the school along with the Admit card.